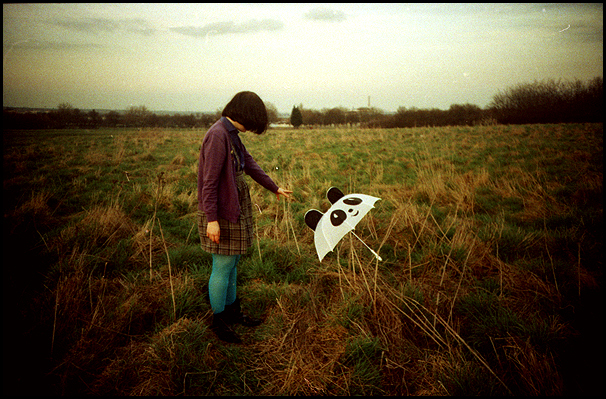 This is another ancient film scanned. It’s definitely from 2008, but it skips about all over the place, there’s shots of Medway and ATP and Brighton, but I didn’t move to Brighton until the August of that year, and ATP was in May, and I have no idea when the Medway pics were taken, so it seems to have been hanging about in my camera for quite a while. I don’t even know what camera I used. 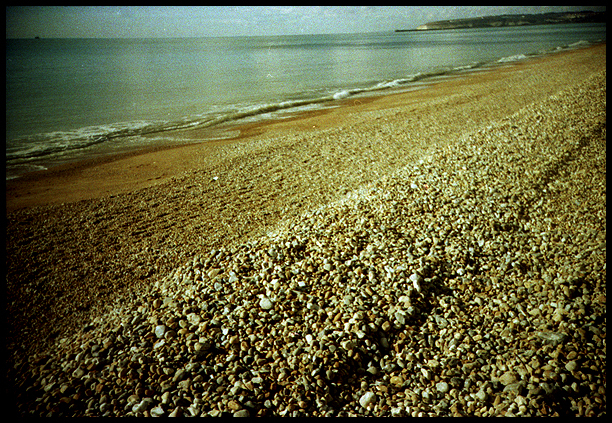 I think it might be a Lomo LCA, the one I got in an Estonian junk shop for £20. It’s since half fallen apart, so I’m glad I didn’t pay those Austrian rip-off merchants much money for it. 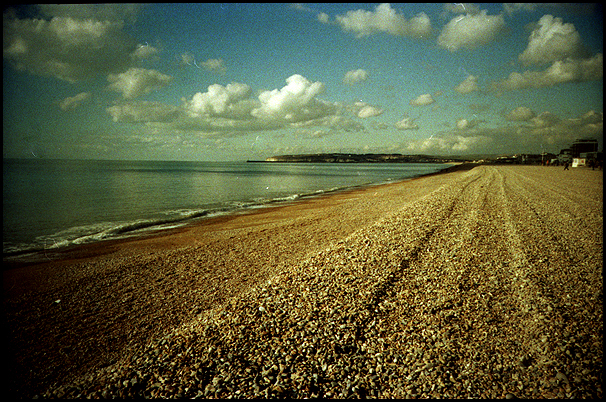 Whatever camera I used, it’s some really grainy 400asa cheapo Ferrania marked film, prob from poundland. Here’s Tukru with an umbrella up the Great Lines in Chatham. 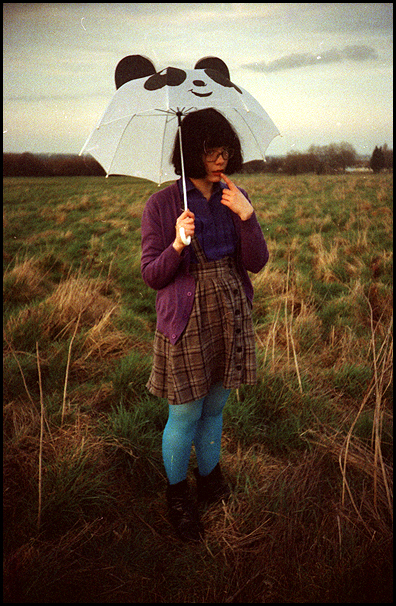 I helped her take some self-portraits with the umbrella, and I took some photos of her myself. 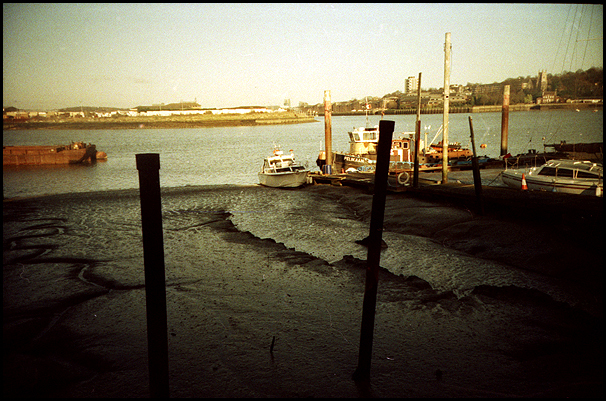 The River Medway in Chatham. Probably full of old boots and used needles and dodgy characters wearing concrete overshoes. 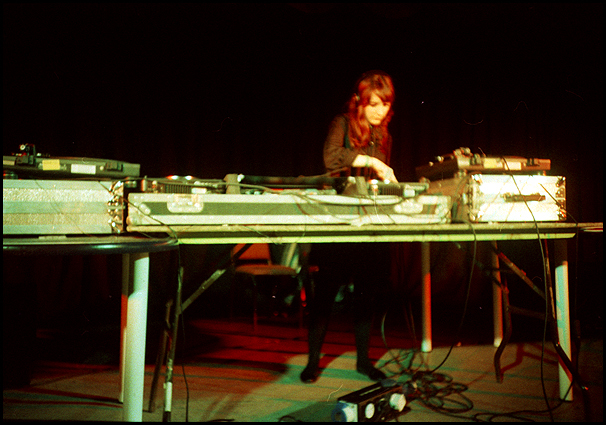 Sarah P and Manish djing at Explosions in the Sky ATP. It looks like there was no-one there, but they were just setting up. 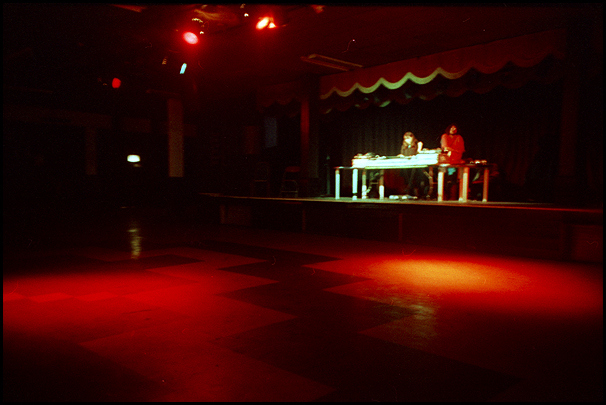 They are good at djing, and people came, alright? Sarah. She was probably playing Fleetwood Mac. Brighton. Free as a bird. Also very windy. 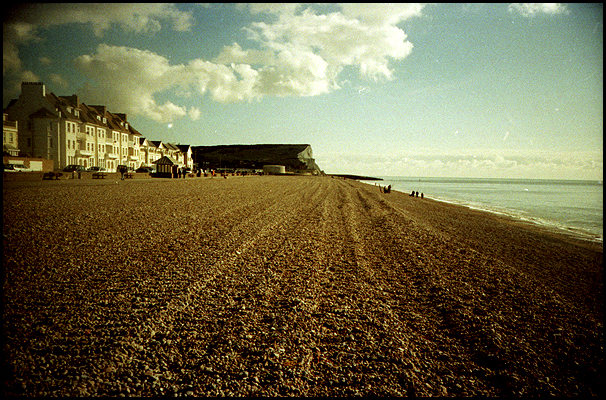 Seaford. It’s all mine. I think maybe I went with V. I used to go all the time to check out the old-lady stuff filled charity shops where everything cost 20p. For some reason I have always loved taking pictures of busy tourist places looking totally deserted.